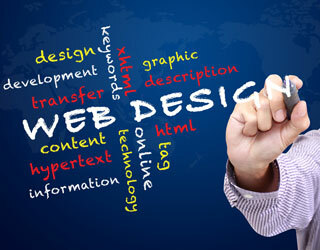 The design of your website determines how customers view your business. What does your website say about you? Let our Dallas web design staff ensure you’re putting your best foot forward on the web. What if you could dynamically and easily change your website at will? What if you had an incredibly editable website? Easily update the content of your websites on the fly! How much more business could you generate? Our business is to help you get more business! We have the easiest content management system on the planet! If you need your stores online with a website designed to sell products we have the best e-commerce solutions ready to deploy. Have our efficient and knowledgable web design staff take care of your website updates while you do what you need to do. We understand search engines and what makes a website successful. We use industry standardized methods that have been proven on hundreds of thousands of websites. At Dallas ISP we pledge to design a mobile friendly flexible, editable, appealing website customized to your marketing and customer service needs, no matter how big or small or how old your current website looks. The web is interactive and you can be a part of it, but you already know that since you are here.